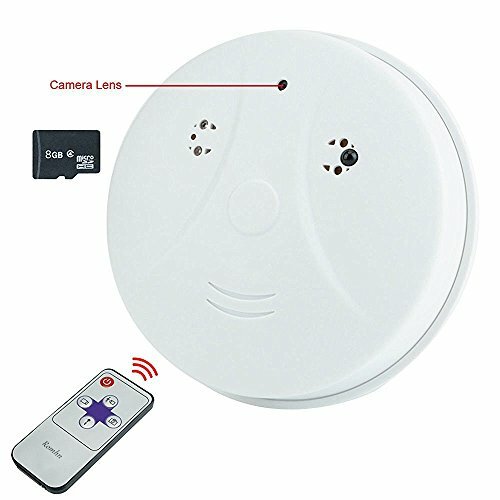 The Romhn Smoke Detector is a high-resolution 720*480 remote video surveillance, with an external micro sd card slot. 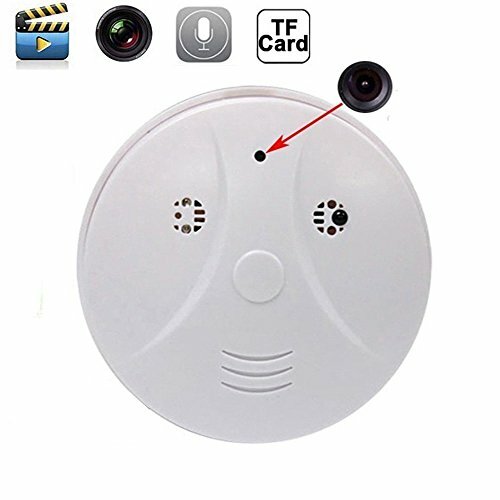 As a multifunction high-tech product, the product is available multiple functions, such as, video sound recording, take a photo, and it supports motion detect video recording. Best of all.You're backed by our One-Year Warranty, plus our Total Satisfaction and Money Back Guarantee ! Don't hesitate to let us know if you're having any trouble with the product. Either you get a COMPLETE refund, or we'll work with you till you're satisfied!
? Hidden Camera: The Romhn Smoke Detector uses imported lens to ensure high-definition on low-light . 720x480 video resolution / 30 fps / 2.0 megapixel / 72° view angle / Records for 100 minutes continuously ? Hidden Camera With SD Card: 8GB Micro SD Card Built-in to provide enough capacity,the camera supports 32GB Micro SD Card in Max(32GB SD Card not included) ? Motion Activated:The Romhn Smoke Detector camera has functions of real-time AV recording, motion activated auto recording (max 5 to 6 meter range), remote control. ? 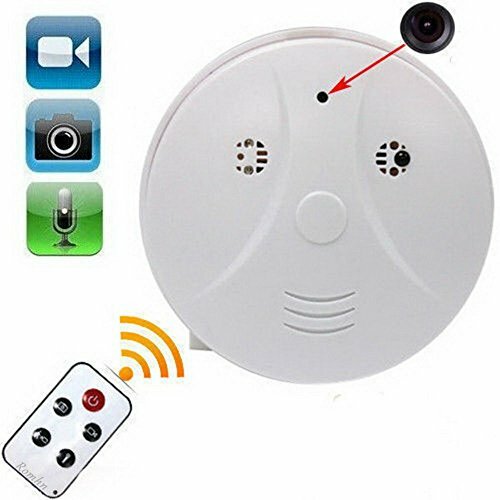 Smoke Detector Camera: The Romhn Smoke Detector is a hidden cameras with smoke detectors appearance, but it is not a true smoke detectors. ? Mini Camera Recorder: H.264 main profile compression, achieve low bit-rate, high definition image quality.